We are sure that you are aware of the practice of cleansing the physical palette between courses of a sumptuous meal. What is the purpose and intent of this action? Would you not want to savor the delicacies long after they have been consumed? Yet when the palette is not cleansed, you cannot fully and completely appreciate a new taste, a new sensory experience. Cleansing the physical palette brings you back to a place of unbiased receptivity, uninfluenced by other tastes and textures in order that you might fully experience what is being offered in the moment. The same is true of the soul, though we doubt if many have ever considered that correlation in cleansing the physical and spiritual palette. As mentioned, cleansing the palette is to acknowledge that which has been consumed or experienced and return to a neutral place in order to experience something new. On life’s journey, one seldom thinks of cleansing the soul’s experiences. Cleansing the palette of the soul allows you to be in the experiential moment of spiritual awareness. Cleansing the palette of the soul is not the same concept of living in the present moment or forgiving the past, it is an acknowledgment of completion of that experience and a preparation for the next course on the spiritual banquet of existence to be appreciated. A perfect example where one does not cleanse the palette is how often does one hold on to some past spiritual event that had great meaning or value. One keeps returning to the taste or texture of that spiritual moment. It certainly is not inappropriate to recall and learn from a spiritual experience but to look for the same taste and texture in one’s present moment hinders one to fully understand and experience that which is being offered now. 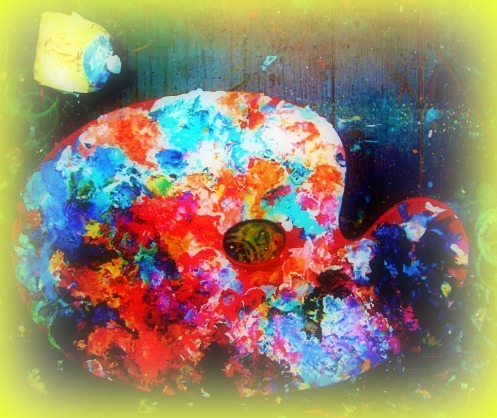 Cleansing the palette is both recognition and completion, be it of a savory dish or a momentous moment in one’s life. Cleansing the palette is an acceptance and release, and an openness to receiving the next course, be it on the banquet table or the plate of life. How then do you cleanse the palette of the soul? What is the taste that opens the soul to a fresh and new experience? You cleanse the palette of the soul with thanksgiving. Thanksgiving acknowledges what has been consumed and clears the way for that which is yet to be given. When you do not cleanse the palette with thanksgiving, you become locked in past experiences, no matter how positive, out of a fear that the future holds a famine for what you desire. Failure to cleanse the palette of the soul is a belief that there can be no delicacies in the future and you must hold onto the past. Thanksgiving makes your life fresh and new everyday, more able to receive and be open to the banquet table of life’s experiences before you. The tastes and the textures of the present moment are the most powerful to the sensory perceptions of your soul and the nourishment of your spirit. Be grateful for that which you have received and thankful for that which is yet to come. Life is a multi-course experience, each with savory dishes to be experienced. The cleansing of the palette of the soul allows you to experience the natural evolutionary process of spiritual growth and attainment. So today, each and every day, cleanse the palette of your soul with a taste of thanksgiving.